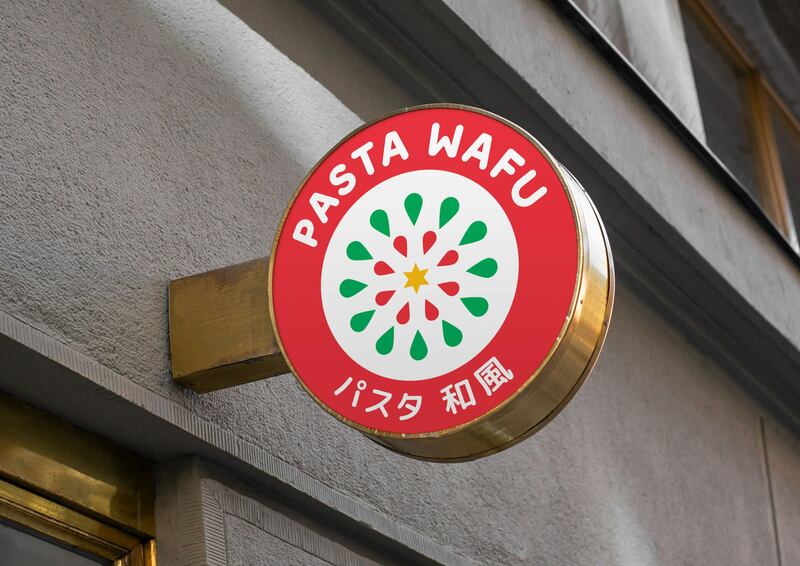 Pasta Wafu is a new upcoming restaurant opening at the Darling Exchange in Sydney, Australia. 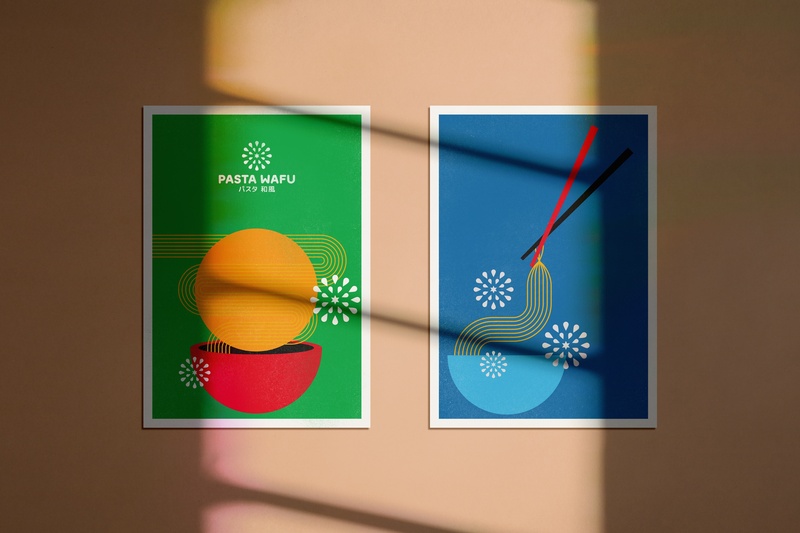 The restaurant features Japanese style Pasta, co-founded by Kirby Craig of Bar Ume and Ume; and, Hamish Ingham and Rebecca Lines of Banksii Vermouth Bar and Bistro. 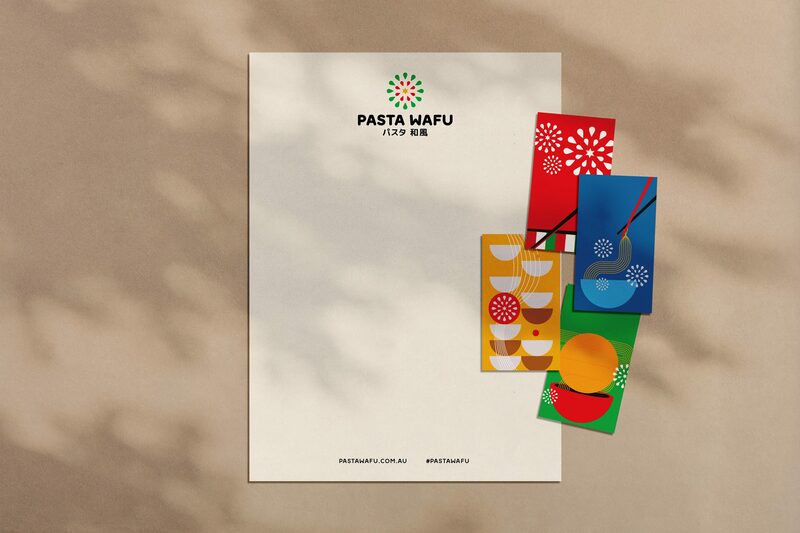 We were approached to help with creating Pasta Wafu’s identity for their opening in Late September this year. 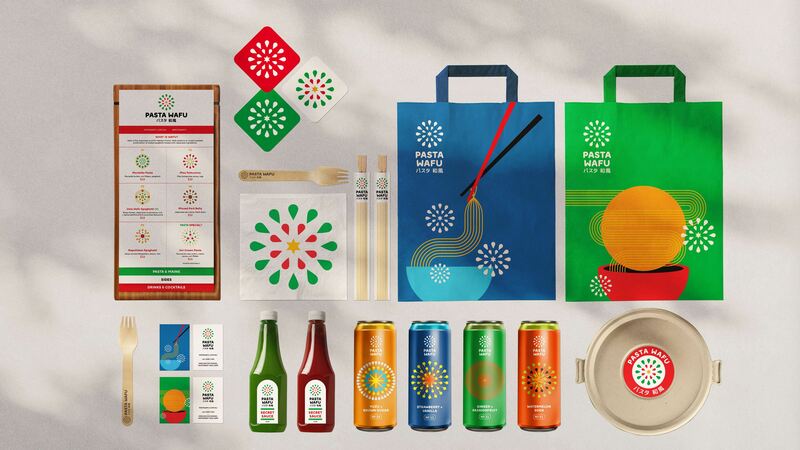 From the outset we wanted to create a visual identity that harmoniously brings together the culture and flavours of both countries Japan and Italy. We wanted the brand to feel friendly, exciting and unique. Inspired by old japanese firework posters we created a logo mark that reflects the explosion of different flavours created with the fusion of the two cuisines. We wanted to create a system where the we can expand the logo mark to different firework variations to represent each dish/ingredient. This was supported by a series of poster illustrations and packaging. Paired with friendly rounded typography, and a colour palette that reflects the colours of both countries.